Includes Volume Control, Filter Retainer, Filter, Diaphragm Disc, Diaphragm (With 3 Diaphragm Discs), Flow Ring, Guide, Cylinder Slide. The WaxFREE Seal Kit is a cleaner alternative to using a wax ring during toilet installations. As temperatures fluctuate, the consistency of a wax ring can range from a sticky mess to a hardened block. The WaxFREE Seal Kits rubber exterior creates a tight seal between the floor and the toilet. The two-piece foam interior adapts to fit flanges that are above, even with and below finished floors, with absolutely no mess. Another great benefit of the WaxFREE Seal Kit is its ability to be repositioned during installation. A wax ring can be ruined and must be replaced if the toilet is not set properly on the first try. The user-friendly Wax free toilet gasket allows for multiple toilet setting attempts. Resistant to harsh chemicals, the WaxFREE Seal Kit is manufactured with the same proprietary red Chlorazone<sup></sup> that is found in all Korky<sup></sup> premium red flappers. Easy to install, the 6000 includes: (1) Toilet Gasket, (1) Set of Hardware and (1) Instructions. 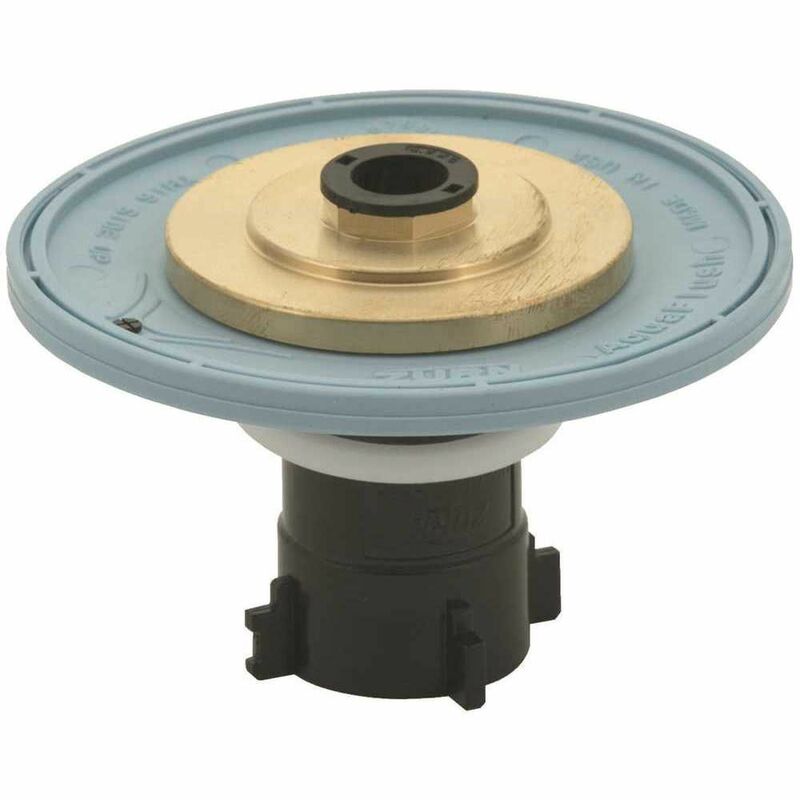 Aquasense Urinal Diaphragm Repair Kit 1.5 Gpf Includes Volume Control, Filter Retainer, Filter, Diaphragm Disc, Diaphragm (With 3 Diaphragm Discs), Flow Ring, Guide, Cylinder Slide.